Three weeks after Trump was widely condemned for not standing up to Putin at their Helsinki summit, Paul said the letter from Trump had offered U.S. cooperation in various areas. The White House called it a letter of introduction for Paul, who was visiting Moscow. Trump has sought to ease tensions between the former Cold War foes despite friction in the relationship that was exacerbated by U.S. intelligence findings that Russia meddled in the 2016 presidential election, trying to tilt the outcome to Trump. Paul, one of the few Republicans to defend Trump‘s widely panned performance at a July 16 news conference with Putin in Helsinki, said he had travelled to Moscow to encourage diplomacy. “I was honoured to deliver a letter from President Trump to President Vladimir Putin’s administration. The letter emphasized the importance of further engagement in various areas including countering terrorism, enhancing legislative dialogue and resuming cultural exchanges,” Paul wrote in a Twitter post. The White House said the Republican president had provided Paul with a “letter of introduction” for his trip at the senator’s request. “In the letter, the president mentioned topics of interest that Senator Paul wanted to discuss with President Putin,” White House spokesman Hogan Gidley said in a statement. Kremlin spokesman Dmitry Peskov said that a letter from Trump to Putin had been delivered by diplomatic channels, the Interfax news agency reported. The president has called an investigation into possible ties between his campaign and Moscow a “witch hunt,” but his administration has warned that the threat of meddling from Russia endures. Last week, Trump’s national security team said Russia is behind “pervasive” attempts to interfere in the November midterm elections, rejecting denials that Putin made directly to Trump. 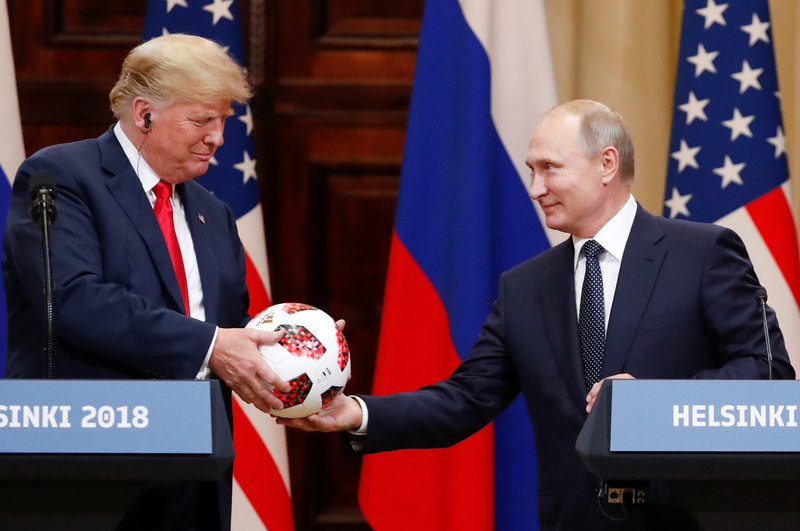 Trump sparked outrage by largely accepting Putin’s word over that of his intelligence agencies at the Helsinki news conference. The president later corrected some of his remarks, saying he misspoke. 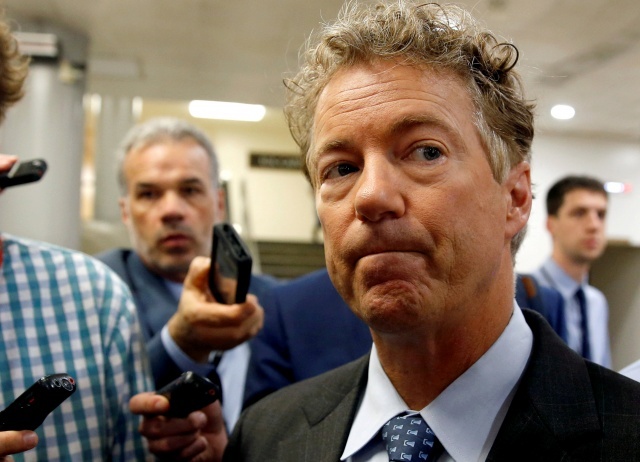 Paul, a member of the party’s conservative wing who frequently takes antiwar positions, on Monday invited Russian lawmakers to visit Washington to discuss nuclear nonproliferation and terrorism. He also held talks in Moscow with parliamentarians and pledged to block new sanctions against Russia. Trump’s efforts to improve ties with Russia have not yielded significant results. The relationship has also created divisions within the administration. Trump’s top intelligence official, Dan Coates, has said that he is in the dark about what Trump discussed with Putin in their one-on-one meeting in Helsinki. Further U.S. sanctions on Russia over alleged election meddling, Syria and Ukraine could lead to a deeper rift and are hurting Russia’s rouble. Paul’s colleagues in the Senate from both parties introduced legislation last week to impose strict new sanctions on Russia. A reported text of the draft bill published on Wednesday sent Russia’s rouble to lows against the dollar last seen in April.